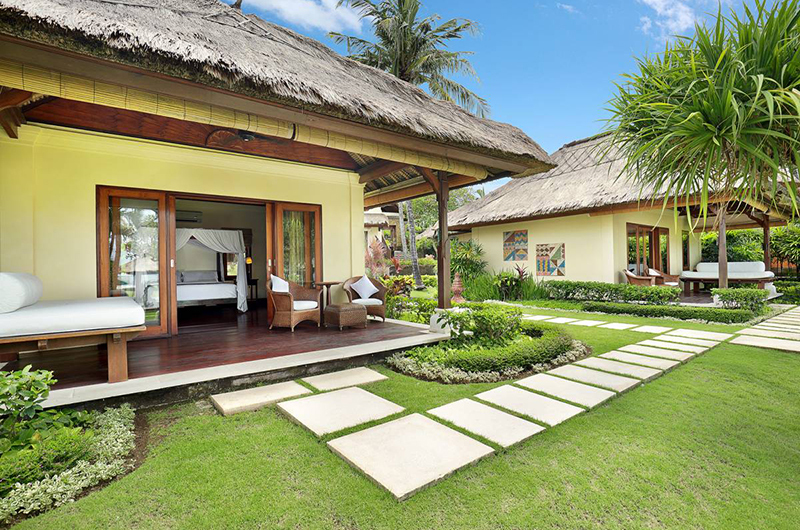 Balinese luxury awaits, with 2 pools, a tennis court and ocean views ready to wow you. You’re guaranteed to be enthralled by the magnificent ocean views of 100m of rugged beach right in front of the aptly named Impiana Cemagi in Cemagi, Tanah Lot. 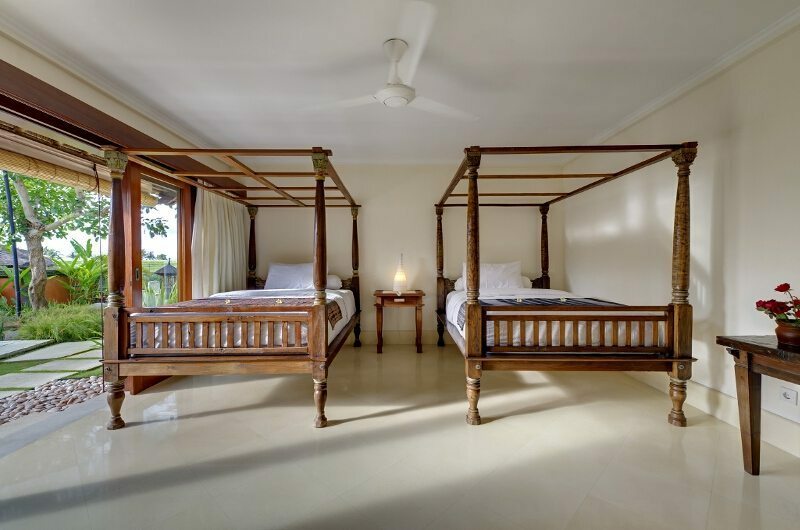 Set on one hectare of sprawling grounds, the roar of the ocean coupled with the fragrance of sweet frangipanis and waving coconut palms will quickly enchant you in this six bedroom oasis that sleeps 12 people. 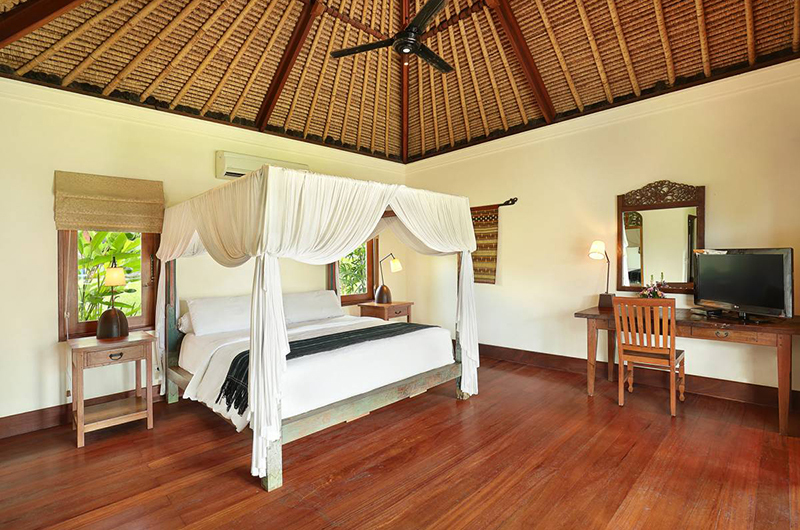 The spacious, high ceilinged rooms combine comfort and elegance with a romantic ambience where you can relax. Luxuriate in the heavenly petal-strewn bath tub of the master bedrooms’ garden bathrooms or bring the spa to your room for that extra special care you crave. 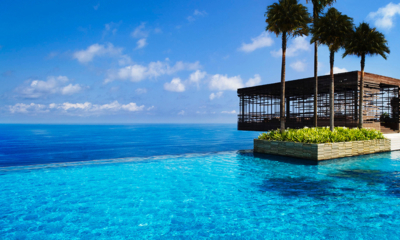 The outdoor lounge beside the private infinity pool is the perfect spot to enjoy a cold drink or your favourite book while the gentle sea breeze caresses your hair. 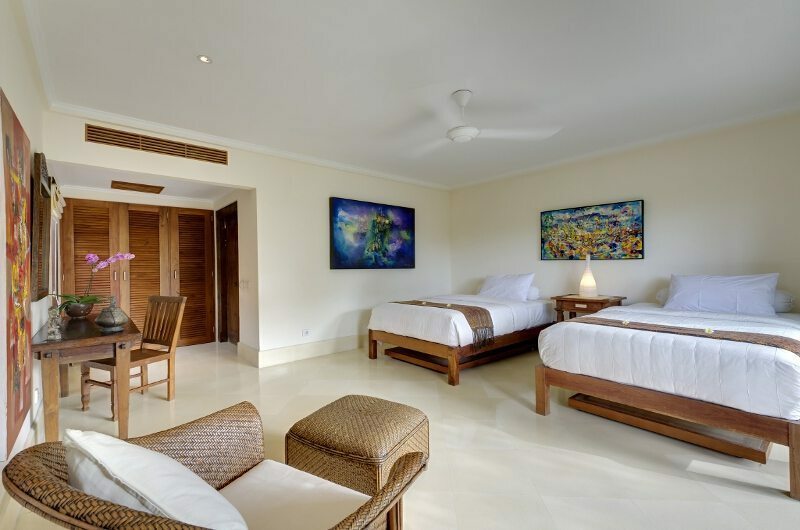 If you’re feeling more energetic, take in a game of tennis on the villa’s own courts or challenge your friends and family to a game of table tennis and billiard in the fully-equipped game room. If you can tear yourself from Utopia, bikes or a driver are available for you to tour the rest of the island. After a day in the sun, the in-house chef will prepare a gourmet meal from a large menu of western, Asian, vegetarian and children’s food. If you have special dietary needs or would prefer a BBQ, he’s happy to arrange that, too. 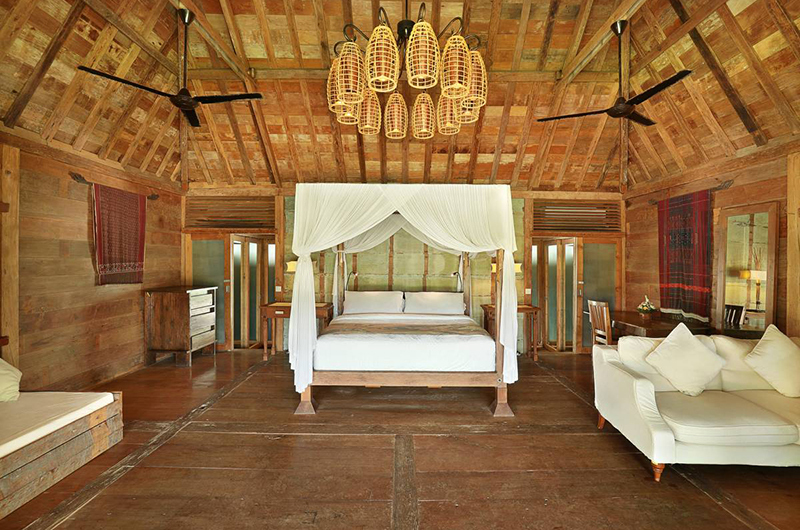 The sixth bedroom is a traditional Javanese wooden house with a sundeck and pool right outside and optimal for newlyweds or couples in need of some quality time alone in a slightly rustic yet romantic atmosphere with sunsets to last a lifetime. Sharing its name with the regions iconic Tanah Lot temple, the Tanah Lot area is one of the most scenic areas on Bali’s west coast. Beautiful desolated beaches, magnificent sunsets and some of Bali’s most important temples await you in the Tanah Lot region. Add to that a carefree lifestyle, Bali’s best golf course, beautiful sceneries and you have the perfect setting for authentic holiday in Bali. Read More About Tanah Lot. Under priced for what you get. 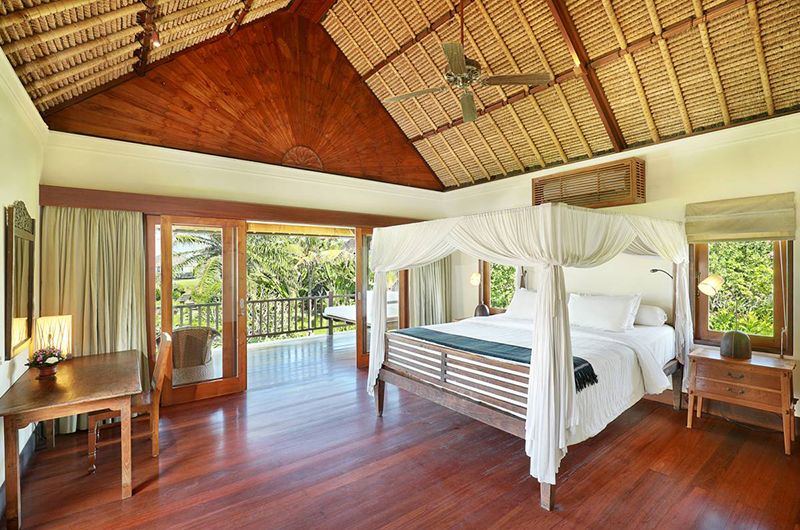 This 6 bedroom villa is further up the coast in Cemagi (hence the name) so 20 minutes from Canggu in Bali. 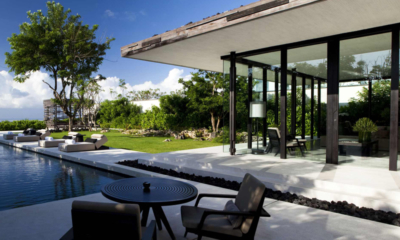 The villa comes with a tennis court, private pool, billiard room, 6 bedrooms and amazing sunset bale and a team of wonderful staff to look after you.